What could be more comforting than a good bowl of crispy on the outside, and pillowy soft on the inside, potato gnocchi...? 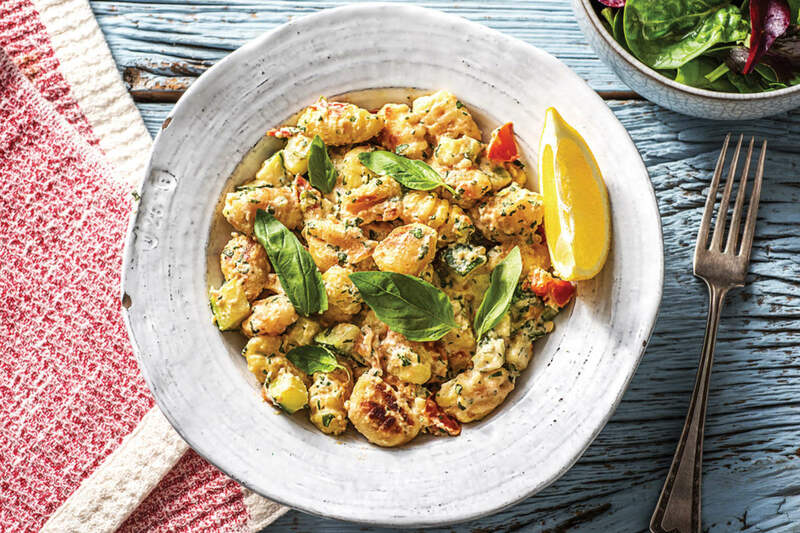 Well, only gnocchi that’s lightly fried and topped with creamy basil pesto sauce, obviously. Bon appetit! Finely grate the Parmesan cheese. Zest the lemon to get a pinch and slice into wedges. Peel and crush the garlic. Dice the zucchini. Dice the Roma tomato. Finely chop the pine nuts and the basil (reserve a few leaves for garnish!). 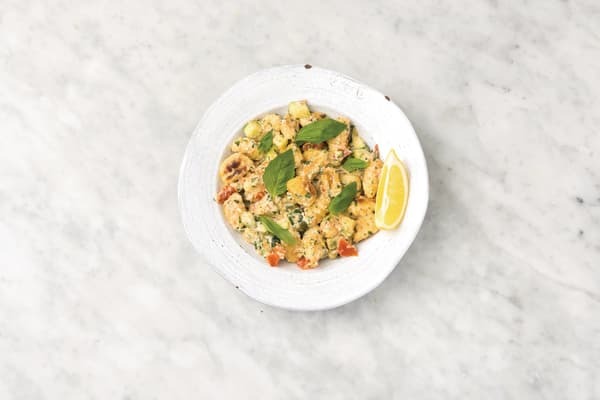 In a medium bowl, combine the Greek yoghurt, pine nuts, basil, Parmesan and a pinch of lemon zest. Season with black pepper. Stir and set aside. 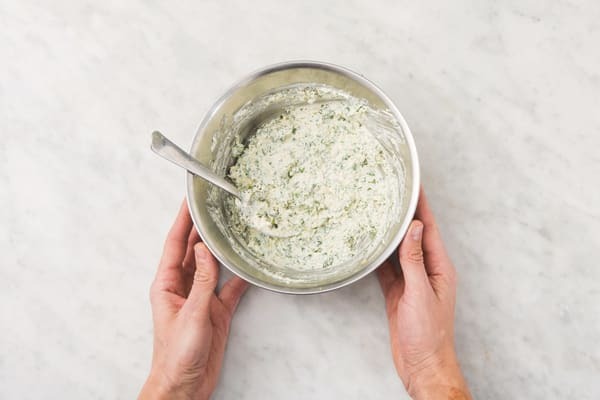 TIP: Use a blender or mortar and pestle for a smoother pesto if you like. Heat a generous drizzle of olive oil in a large frying pan over high heat. Once hot, add the gnocchi (use suggested amount) in a single layer and fry for 6-8 minutes, or until golden. Season with a pinch of salt and pepper. 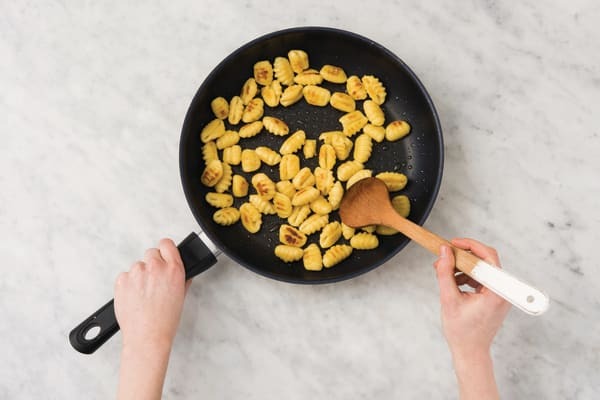 TIP: No need to boil the gnocchi first, it can go straight into the frying pan! 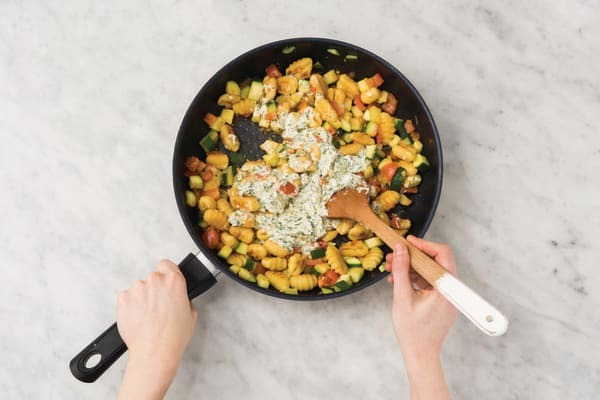 TIP: Make sure you don't overcrowd the pan – the gnocchi must be in a single layer to ensure even cooking. TIP: Add extra oil if required to prevent sticking. 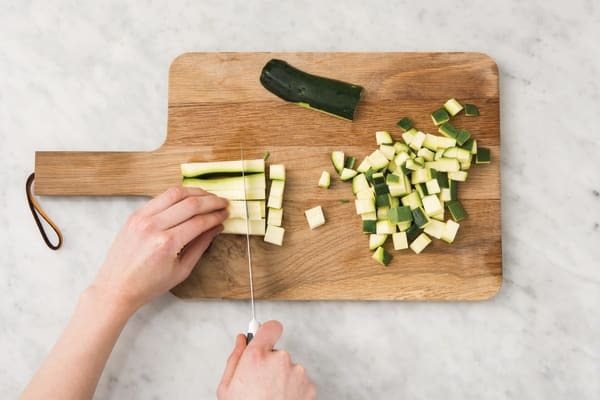 Add the garlic and zucchini to the pan and cook for 2-3 minutes, or until softened and fragrant. Add the tomato and cook for 1-2 minutes, or until warmed through. Remove the pan from the heat and add the basil pesto sauce. Toss well to coat the gnocchi. While the gnocchi are cooking, combine the vinegar, honey and olive oil (3 tsp for 2 people / 1 1/2 tbs for 4 people) in a medium bowl. Add the mixed salad leaves and toss to coat. 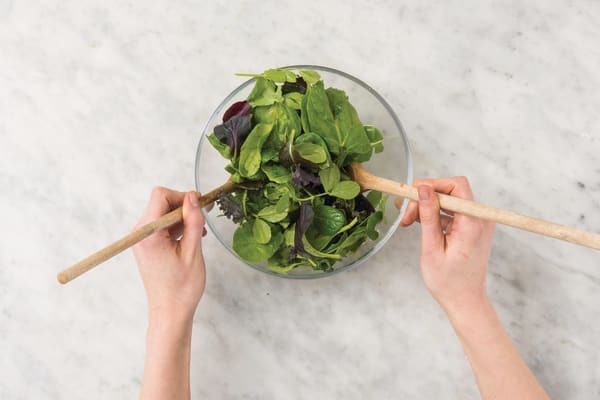 TIP: Add the salad leaves just before serving to prevent soggy leaves. Divide the gnocchi between bowls. Sprinkle over the reserved basil leaves. Serve the salad and lemon wedges on the side.